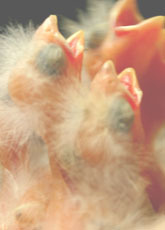 Chlamydial bacteria infections in birds. for primary and secondary Chlamydial bacteria infections in the drinking water. NOTE: Remove all other water supply including fresh greens & fruit during treatment. The use of antibiotics should always be the last resort. Over use of antibiotics can result in drug-resistant strains of bacteria to develop. However, if you strongly believe that infection is indeed caused by Chlamydial bacteria then I would treat with the broad spectrum antibiotic TEXTRATEX. 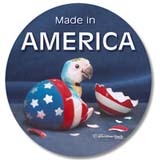 This will eliminate any bacteria that the bird may be carrying. Make sure you follow the label directions and give the full course of antibiotic. Host: all species, young mainly, 20-70% mortality possible. Transmission: Excrement: inhalation: asymptomatic carriers. USE Drinking Water: Enclosed scoop holds one level teaspoon. Use fresh solution every day for five days. 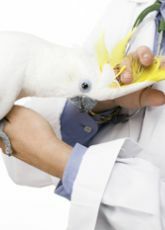 If bird does not respond to treatment or if bird�s condition worsens, consult a veterinarian. Keep container closed before and after use. Store in a cool, dry place. 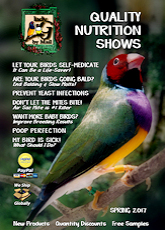 In birds with naturally occurring "friendly gut bacteria", a Probiotic treatment is recommended after any antibiotic course. 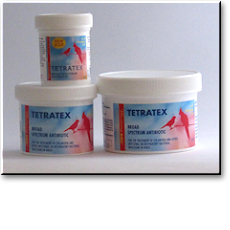 Tetratex - broad spectrum antibiotic dissolves in water. For primary and secondary Chlamydial bacteria infections.